Who do you think these bombs are supposed to kill? American soldiers? Yes. Canadian soldiers? Yes. But also know that bombs don't discriminate. They kill anybody that happens upon them. That includes innocent women and children. 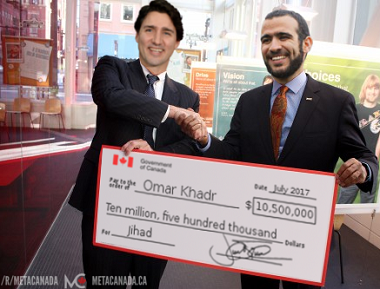 This is the guy that Justin Trudeau gave $10.5 million to. That's your tax dollars and my tax dollars going to a convicted terrorist.